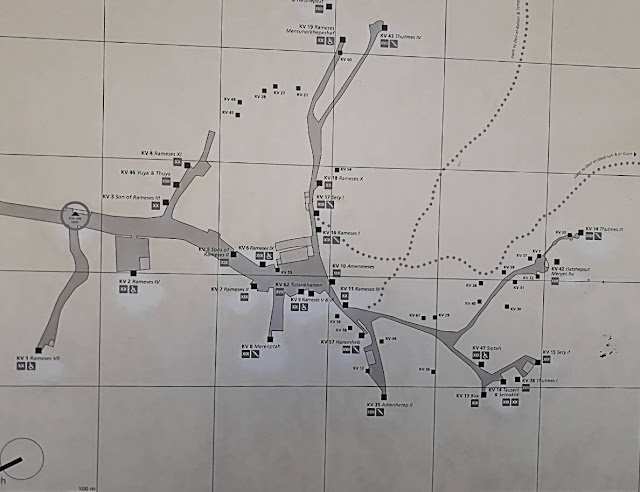 The Travelling Lindfields: How to Visit the Valley of the Kings: What you need to know in 2019! Luxor, known by the Greeks as Thebes and by the Ancient Egyptians as Waset, was the capital of Upper Egypt* during one of the most significant periods of Ancient Egyptian civilisation. The city was a focus of wealth, power and culture. It was here, across the Nile, on Luxor's West Bank that Kings, Queens, lesser royals and nobles built hidden tombs to safeguard their mummies and treasures for use in the after life. Sadly, they didn't hide them well enough. Tomb raiders and thieves looted most of the treasures long before modern times. Archaeologists carried away the rest, relocating them to museums around the world. The thieves couldn't carry away the tombs themselves though, nor could they steal the reliefs and paintings which decorate their walls. Although the ancient treasures are all gone there is sense of magic in the valley making it one of Egypt's absolute not-to-be-missed attractions. *Upper Egypt consists of the Nile River Valley from Cairo south to Aswan, and Lake Nasser. 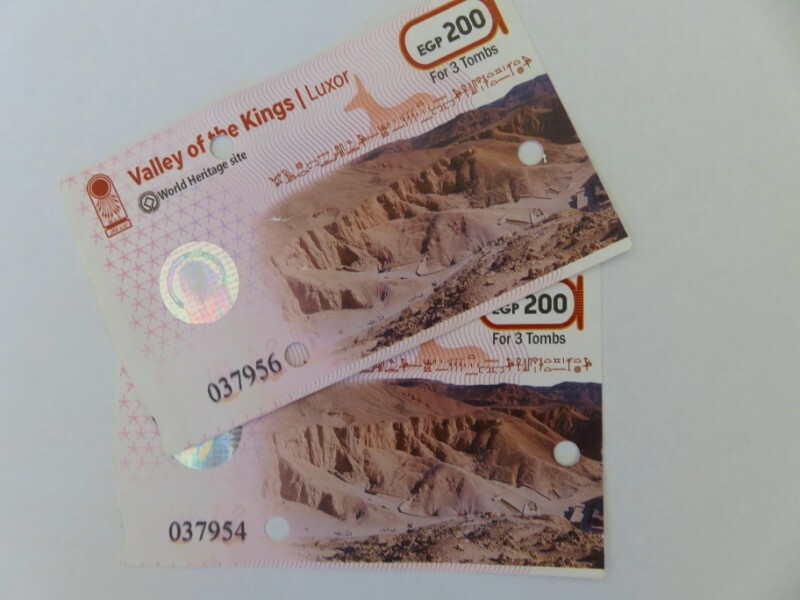 Do you need to take a tour to visit the Valley of the Kings? The short answer is no - but - most of Luxor's accommodation is on the East Bank of the Nile. 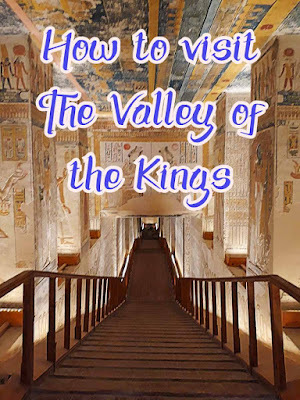 To get to the Valley of the Kings, even from the few hotels on the West Bank you will either need to take a tour, to arrange a car and driver, or to take a taxi who will wait while you visit the tombs. You can also hire taxis from the West Bank ferry terminal. We hired a taxi for the day through the concierge at our hotel. For a full day we paid 400 EGP (32 AUD/23 USD). You can also hire taxis from the West Bank ferry terminal. If you want to book a tour have a look at these. Click the 'more things to do' button for more tours. 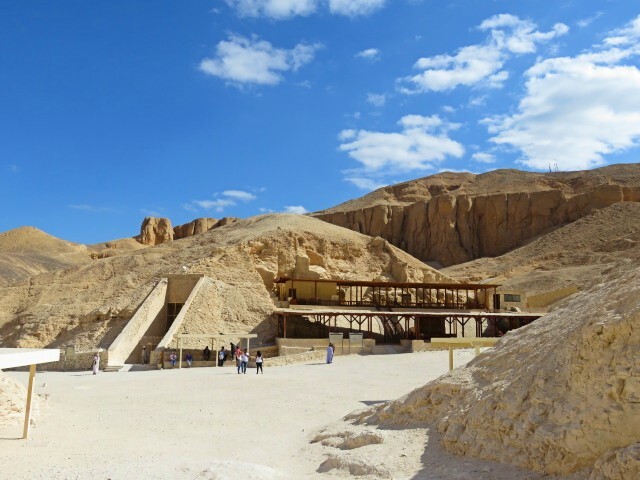 When is the best time to visit the Valley of the Kings? You will read a lot of advice about visiting the valley early to avoid the crowds. You can ignore this. The advice is so prevalent you are probably more likely to hit crowds if you do visit early. We arrived at 11 a.m. None of the tombs were crowded and many we had to ourselves. Several large tour groups were just leaving as we arrived so it might be best to avoid 10 a.m when the tourist buses from the Red Sea seem to converge on all the sights in Luxor. Tourism in Egypt has not yet recovered from the twin catastrophes of the Arab Spring and the bombing of a Russian airliner en route from Cairo to Saint Petersburg in 2015. There is plenty of talk about tourism returning to Egypt but our experience in December 2018 was that none of Egypt's tourist attractions were crowded. The best reason to visit the valley early in the day is to avoid the heat - and don't go in July! Winter in Luxor (from December to January) is still warm enough to hang around your hotel pool after a day spent exploring. The ticket window is on the right as you exit the exhibit building just past the car park. There are toilets there too. It is worth spending a minute or two working out which tickets you want before you get to the window. The ability to explain things well is not part of the Egyptian national psyche. A people mover tram runs from the ticket office up to where the tombs are. It is only a few hundred metres but it is uphill and will probably be hot. At 4 EGP (less than 50 cents AUD/USD) it is worth every cent. You buy tram tickets from the window next to the ticket window. An adult general entrance ticket which allows you to see three tombs costs 200 EGP (16 AUD/12 USD). Not all the tombs are open at once. They operate on a rotation system so try not to have your heart set on a particular tomb. My tip: If you have the time buy two general tickets. Visiting only four tombs including Tutankhamun's Tomb left us with the feeling we had missed out. We went back to the ticket window and purchased another general ticket and a ticket to Ramses VI's tomb. By the time we had seen all eight tombs we had necropolis overload and were happy to leave. Can you take photos in the tombs? When we first visited the Valley of the Kings in 2006 photography inside the tombs was banned. Some internet sites will tell you it is still forbidden. This is not right. 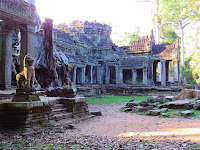 Nowadays you are permitted to take photos in most of the tombs provided you purchase a photography ticket. At 300 EGP the camera ticket is fairly expensive but if you want to take photos without being hassled it is worth it. Some of the guides will allow you, even encourage you, to take photos on your phone without a ticket in return for baksheesh (a tip), however if they catch you trying to sneak in a few photos without paying up they can get quite nasty. We saw two young girls being verbally abused for this. It seemed clear the guards were trying to get a bribe for not reporting them. There are no treasures in any of the tombs. A few including the Tomb of Tutankhamun have sarcophagi still in place but apart from that the tombs are empty. This isn't to say they aren't worth seeing. Many have striking reliefs and other artwork on the walls - then there is a sense of awe once you are inside, almost as if Ancient Egypt is still there, in the air and etched into the stone of the walls, ceilings and floors. Perhaps it is. 1. Rameses IV (KV 2) - This was the best tomb by far with wonderfully coloured reliefs. 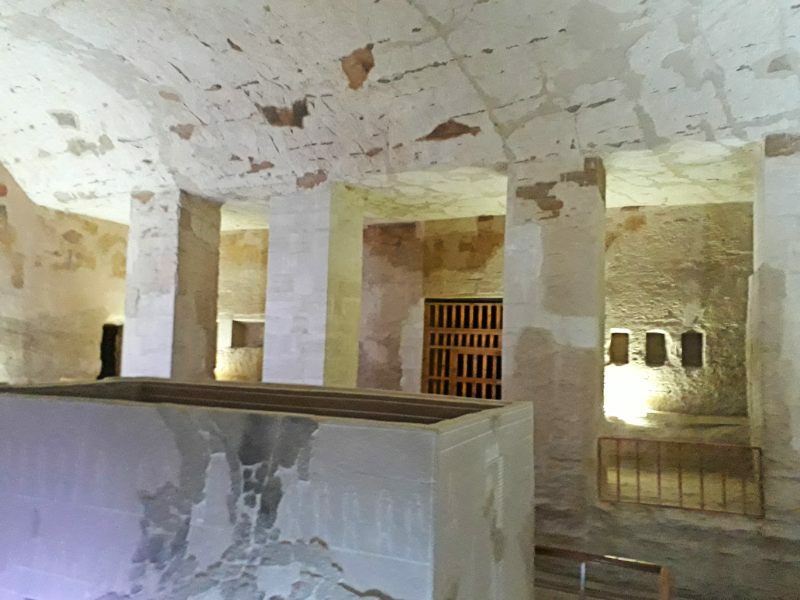 It is one of the first tombs you come to (on the right) after you are dropped by the tram and have showed your ticket at the security check point. 2. Rameses V and Rameses VI (KV 9) - Extensive and beautiful decorations. 3. Merenptah (KV 8) - Some colourful and lovely decorations. 4. Rameses III (KV 11) - Beautiful and worth seeing. 5. Tausert and Setnakht (KV 14) - Much less impressive than the other tombs we saw. I would give this one the miss. 6. Siptah (KV 47) - Also less impressive than other tombs. Be prepared to be underwhelmed. Tutankhamun's Tomb is small and plain. All the boy king's fabulous treasures have been relocated - mostly to the Egyptian Museum in Cairo. Only the huge stone sarcophagus and one of the outer coffins is still in place, along with Tutankhamun's mummy. David was all for giving Tutankhamun's Tomb the miss. We saw it in 2006 but I'm glad we saw it again. With a new raised floor, it didn't have quite as authentic an atmosphere as it did in 2006 but as the most famous tomb in the valley it is well worth seeing. You need a separate ticket which you purchase at the general ticket window when you first arrive. It costs 250 EGP (20 AUD/14 USD). No photos are allowed inside the tomb. 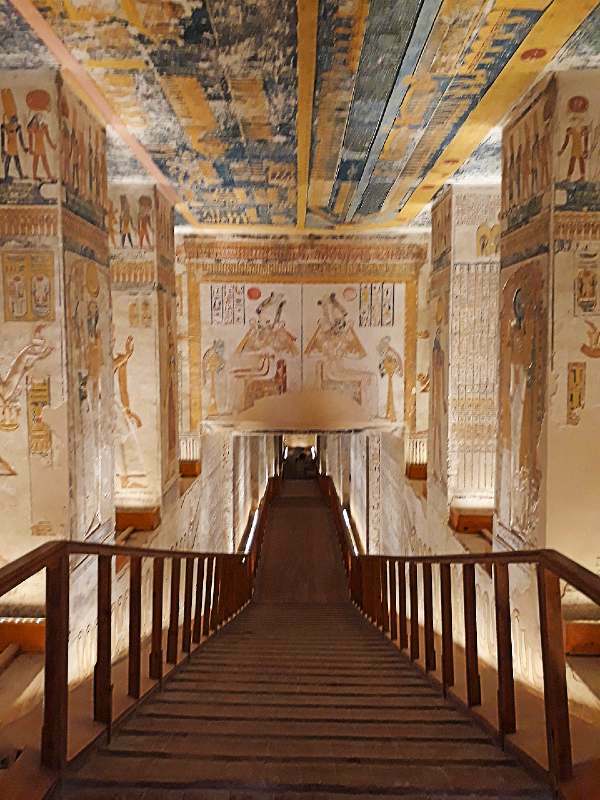 If you want photos then call in at Howard Carter House on your way back to Luxor where there is a great replica of King Tutankhamun's burial chamber. The number of visitors allowed into the tomb at any given time are limited. I don't know how this works with large tour groups. The burial chamber in the Tomb of Merenptah (KV 8). 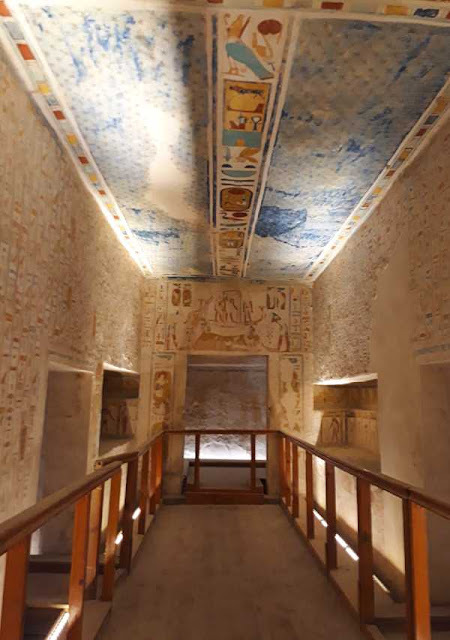 I have put this in to show that not every room in all the tombs is colourfully decorated. 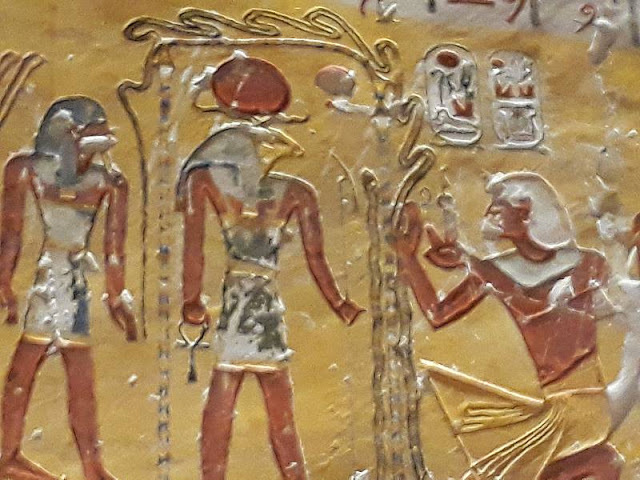 The tomb of Rameses VI also required a separate ticket. Our guide book recommended it. We didn't think it was any better than KV 2 Rameses IV, but at only100 EGP (12 AUD/9 USD) it was probably worth it. 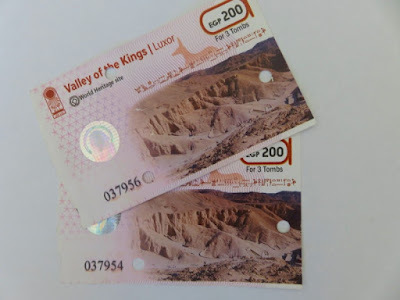 At a whopping 1000 EGP (80 AUD/58 USD) we decided to give Set I's tomb the miss. Our guide book describes it as 'one of the finest in the valley'. I would love to hear from anyone who has seen it. Was it worth the money? How long do you need to visit the Valley of the Kings? 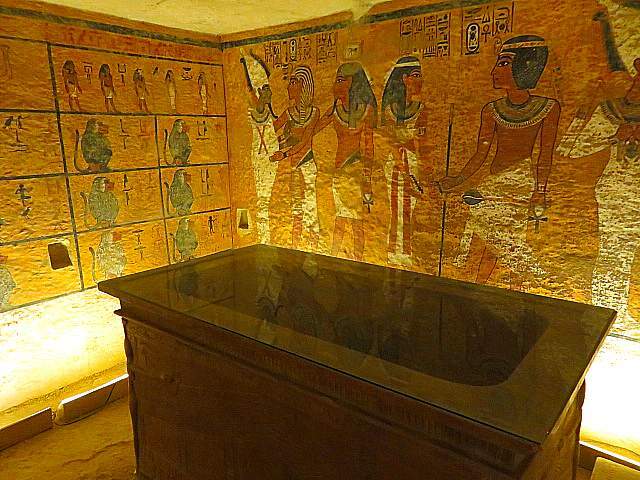 Three tombs plus King Tutankhamun's tomb takes about two hours at a leisurely pace. After our first three tombs we went back for another three, and also saw Rameses VI's tomb. By the time we left we didn't feel like we had missed out on anything - in fact we were totally tombed out! Howard Carter House and the Tomb of Tutankhamun. The tombs are incredible. Everyone should see them at least once in their lives. Such great info. Of course now I want to know if the tomb of Seti is worth the money!!! Anyone? I would love to know too. I've never been to Egypt. Your guide for the Valley of the Kings is very comprehensive. Every time I read about Egypt I think of my younger days when I enjoyed going to the MET museum in NYC to see the Egyptian tombs. I remember seeing the tombs in the MET a few years ago on a very cold, wet day when it was much too awful to be an outside tourist. I visited the Valley of the Kings 10 years ago. I was with a tour group that was part of a Nile River cruise, which I really enjoyed. 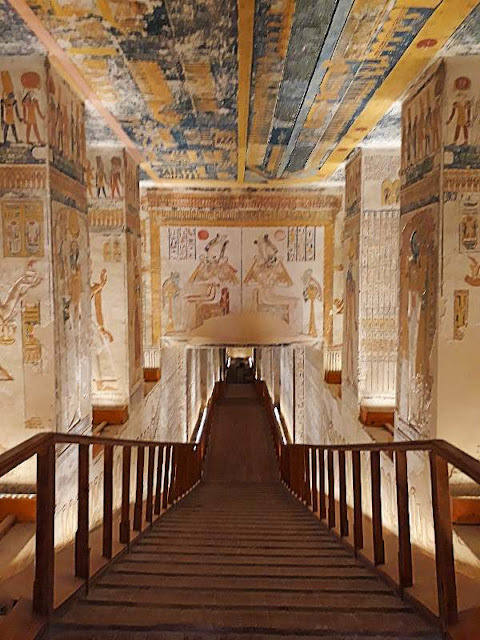 However, as I recall we saw three tombs, couldn't take any photos, and missed King Tut's tomb because someone failed to purchase the tickets--and in our case there wasn't enough time for us to go back and get the tickets. You did a spectacular job of advising future visitors. Wish I'd had this information before my own visit. How disappointing to miss Tutankhamun's Tomb. It isn't at all impressive but it is so famous you just have to see it. You weren't allowed to take photos when we first visited in 2006 either. I much preferred it this time. Your advice looks very complete. I have not been to Egypt yet but the Valley of the Kings is on my must see list. I will definitely remember to use your post when I get there. If you do plan a trip to Egypt the best advice I can give you is to go in the Egyptian winter. It is still warm enough to enjoy without being sweltering. Great comprehensive info. I wish we'd had this when we were there seven years ago. At that time, as you mention, all photography was prohibited inside the tombs–another regret I'd like to remedy some day. I enjoyed Egypt every bit as much this second visit as I did on our first visit. It is a country you can keep going back to. Great tips and information. 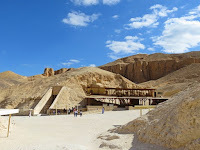 We arrived at the Valley of the Kings on a tour in the early afternoon in early spring. It was so incredibly hot that we vowed only early morning or as late as possible if we ever returned. The sun's intensity in Egypt is hard to describe. Your post adds to our desire to return. If you ever go back take my advice and go in winter. We were there in December both times and it was quite cool in Cairo and not so hot than it was not tolerable in Luxor.